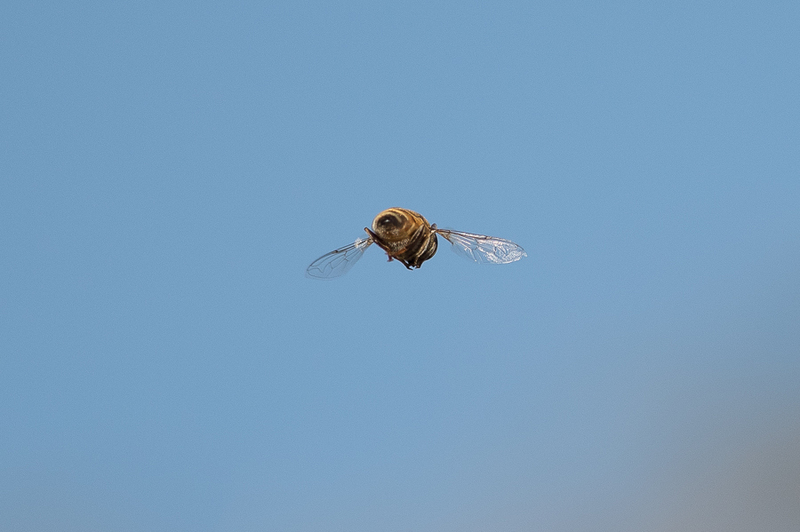 I saw a single honeybee Apis sppwhen in Abha recently but am not sure what Honey Bee it is but Apis mellifera jemeniticahas been used in apiculture throughout the Arabian Peninsula since at least 2000 BC. Existing literature demonstrates that these populations are well adapted for the harsh extremes of the region with populations of A. m. jemenitica native to Saudi Arabia far more heat tolerant than the standard races from Europe. The indigenous race of Saudi Arabia differs from other subspecies in the region in some morphological, biological, and behavioural characteristics. Further taxonomic investigation, as well as molecular studies, is needed in order to confirm whether the Saudi indigenous bee populations represent a race distinct from A. m. jemenitica, or merely an ecotype of this subspecies.